Bernard East, who brings sociological perspectives to this study, contends that such fears have not been realised. Commercialisation has not overwhelmed the game, rather, the culture of Australian football has been re-imagined in interesting and attractive ways. The fans remain passionate about the game, supporting it in ever increasing numbers. 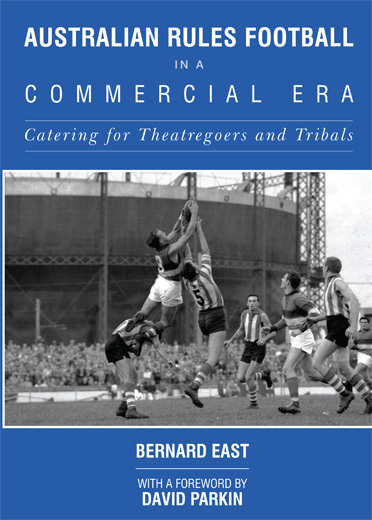 Both tribals and theatregoers regard football’s culture as both authentic and enduring. The AFL has opted for a balanced approached between commerce and culture and tradition and change, more so than any other football code. The League has also introduced many reforms to ensure a more even and attractive competition.